We all love our Arduino's, but sometimes we just want to create a simple circuit and using an ATmega328 chip can be overkill or just plain too big. 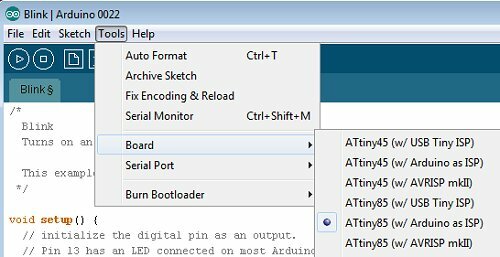 Well, did you know that you can use the Arduino IDE to program ATtiny45 and ATtiny85 8-pin chips? 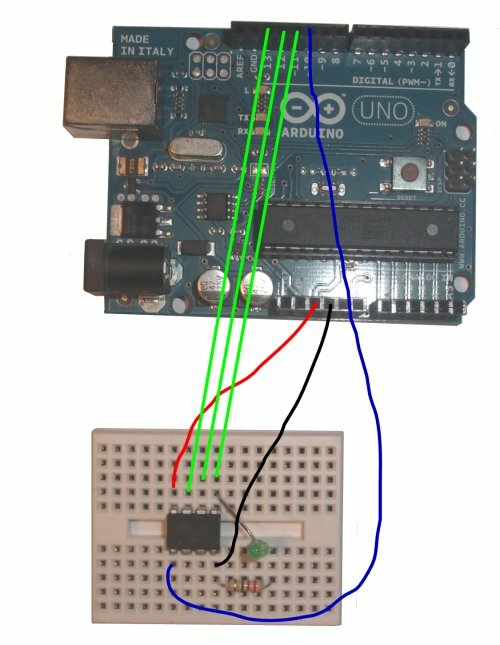 We are going to use an Arduino UNO as the programmer by using the ArduinoISP sketch. Firstly, you will need to add support for the ATtiny45/85 chips to your Arduino IDE. Next, we need to load our Arduino UNO with the ArduinoISP sketch. 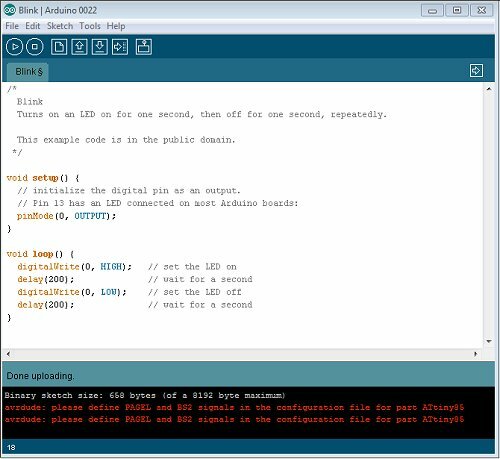 Open the ArduinoISP sketch from the examples menu. Select the board and serial port that correspond to your Arduino board. Now we need to connect the Arduino board to the ATtiny as shown in the following diagram. Also connect an led and resistor between pin 5 and pin 4 (0V) observing correct polarity. Then load up the Example sketch blink. You will get the following message, but ignore it, the upload should have worked ok.
Now the LED should be blinking.